R & I Automotive is a friendly San Rafael auto repair shop – so bring your Kia to us for service or repairs. We are San Rafael Kia service and repair specialists – whether your vehicle needs an oil change, or serious repairs, you can count on our ASE certified technicians to do it right, and usually the same day. Whether you drive Kia Sportage, Sedona, Kia Sorrento, or Spectra, our friendly staff will take good care of you and your car. At R & I Automotive we have both the equipment and skilled, ASE nationally certified mechanics, to diagnose and repair any issue your Kia may face. Some models of Kia are more prone to certain issues, like the 2002 Kia Sedona has been known to face electrical issues, and 2013 Kia Optima is known for experiencing steering problems. If you have any concerns about your vehicle, bring it to us. We will inspect your vehicle, diagnose the problem, and present you with repair options. Kia, like all vehicles, requires regular service and maintenance to remain in top shape. Performing factory scheduled maintenance and regular oil changes is key to keeping your Kia in good condition. Regular maintenance extends engine life, improves mileage, and provides you with reliable, worry-free transportation. R and I Automotive is a full-service San Rafael auto repair shop – in addition to manufacturer recommended maintenance we can provide routine services like brake repair, AC recharge, oil change, as well as electrical system diagnostics and repairs, shocks, struts, AC repair, sensor replacement, CV joint repair, engine repair, transmission issues, check engine light diagnostics and repairs, to name just a few. We work with all models of Kia, including: Kia Hybrid, Kia Optima, Kia K900, Kia Sorento, Kia Cadenza, Kia Forte, Kia Rio, Kia Sportage, Kia Soul, and Kia Sedona. Keep our shop in mind for all your Kia service and repair needs. 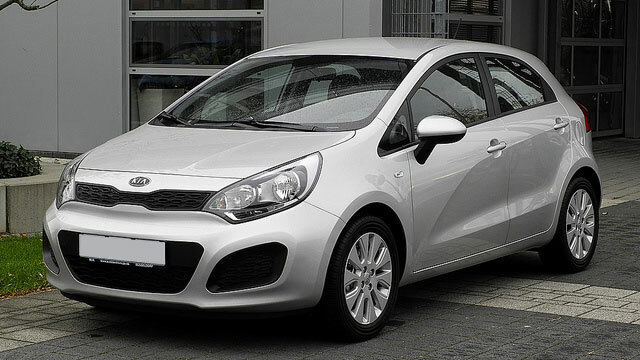 Kia can provide years of faithful service, and if well maintained, it is easy on the pocketbook. We can complete most repairs and services the same day. So whether your Kia needs new brakes, has a “check engine” light on, or it simply needs an oil change, schedule an appointment online, or simply call us.